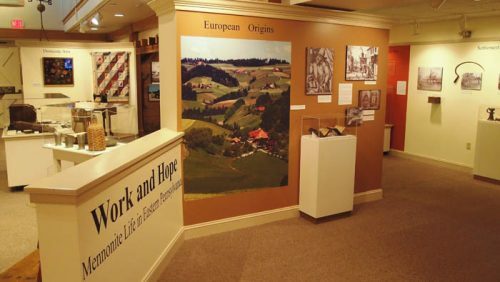 This semi-permanent exhibit uses images and artifacts from the Mennonite Heritage Center collection to illustrate three centuries of Mennonite life in eastern Pennsylvania, from European origins to diverse 21st century life. It is accompanied by an optional half-hour video, The Earth Is the Lord’s. $7.00 Admission (no charge for MHC members and children under 12).